The grit separator and washer is used for separating grit from the organic materials. Once in the grit removal tank, water is stirred so that the organic material can be separated from the grit. 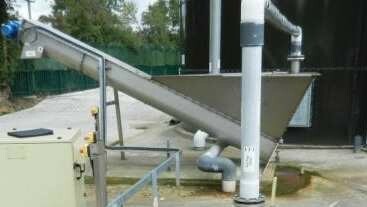 Due to the grit specific gravity it settles to the bottom of the tank where it is is extracted by an air lift pump or screw conveyor. The organic being lighter remain in suspension until they flow out of the tank. Hunter Alliance is a water and waste water treatment company that provides design, consultation, manufacture and installation of package treatment plants and water treatment equipment for industrial and municipal applications.